This article provides a complete guide to polyphenols. First, we will explain precisely what these compounds do, where we can find them, and their health-protective properties. Following this, we’ll take an in-depth look at the top 100 foods high in polyphenols. Phenol units are compounds that contain six carbon atoms bonded together in a hexagonal ring. You can see the molecular form of a phenol in the diagram on the right. Five of the carbon atoms bond with hydrogen atoms, which gives the hydrocarbon ring a chemical formula of C6H5. This phenol ring is then bonded to a hydroxyl group—oxygen bonded with hydrogen (OH)— to make a phenol: C6H5OH (1). Key Point: Polyphenols are chemical compounds found in plant foods, and they contain more than one phenolic group. Polyphenols can have different properties depending on the number and characteristics of the phenol units they contain. In fact, there are more than 8,000 known polyphenolic compounds (2). Furthermore, each of these polyphenol classes has further subclasses which contain different polyphenolic compounds. We can divide flavonoids into various subclasses and over 400 compounds (3). See this guide to flavonoids for more information. 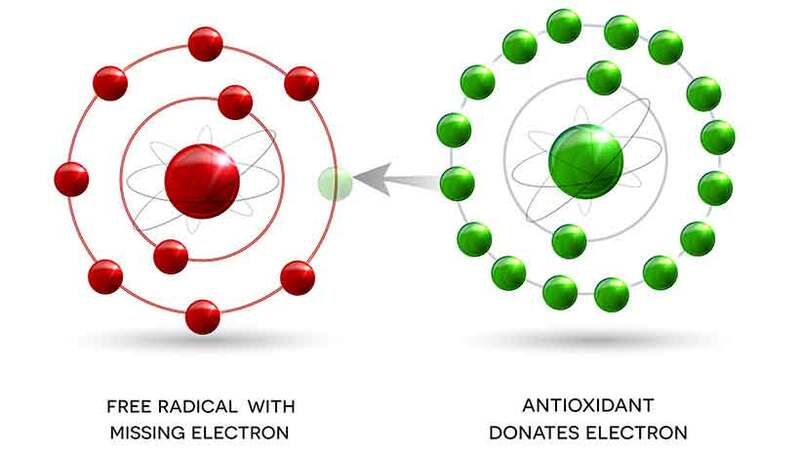 We can commonly find lignans in fibrous plant foods, with seeds being a particularly high source. Specifically, flax seeds are the world’s best source of lignans (4). There is only one sub-class of lignans and it contains 53 polyphenols (5). There is one subclass of stilbenes and it contains 27 compounds (7). In fact, you probably know the most prevalent of these. The name is resveratrol and it’s a major constituent of red wine. Key Point: There are four main classes of polyphenols. These are then separated into dozens of sub-classes, and each subclass contains numerous polyphenols. Clinical studies and randomized trials link polyphenols to a whole host of positive health benefits. Increasing dietary polyphenol intake in participants “significantly improves” cardiovascular risk markers, lipid markers, and helps to prevent LDL oxidation (8, 9, 10). Polyphenols appear to slow, delay, or potentially help to reverse prostate cancer (11, 12). Polyphenols have neuroprotective effects that may help to slow, delay, or prevent Alzheimer’s and other mental health conditions (13, 14, 15). Additionally, as shown throughout the above studies, polyphenols appear to play a beneficial role in decreasing blood pressure and markers of inflammation. Do Polyphenols Act as Antioxidants In the Body? Original hypotheses asserted that polyphenols act as chemical antioxidants in the body to protect against oxidative damage. Notably, researchers have now virtually disproven the theory that polyphenols directly act as antioxidants (16). However, while polyphenols may not have a direct antioxidative effect, they still play a role in the process. In short, polyphenols don’t directly fight against inflammation and free radicals. On the contrary, they seem to stimulate and upregulate the body’s natural defense (antioxidant) systems to attenuate damage. In a 100% healthy person? Perhaps they are not as important, but we don’t really know enough about how they work to judge. Key Point: Polyphenols almost certainly don’t act as direct antioxidants, but they play a role in signaling systems that fight inflammation. If you ever wanted to know which foods have the most polyphenols, then you now can. A few years ago, researchers compiled a database of foods high in polyphenols. According to their research, here are the results of the top 100 alongside a brief summary of each food (21). Cloves represent the highest dietary food source of polyphenols in the world. This famous flavoring spice is actually a dried flower bud and it belongs to the Myrtaceae family of trees, cultivated in Southern Asia. Appearance wise, cloves look like little brown wooden sticks and they don’t look particularly appetizing. However, cloves pack a powerful punch in the health—and taste—department. In fact, their taste is as confusing as it is strong, and features contrasting warm, spicy, bitter, and even slightly sweet flavors. Use this one sparingly or it can be overpowering. In second place comes dried peppermint. You may not know this, but peppermint is actually a hybrid of spearmint and watermint. This popular herb is popular throughout the world, and it contains scores of phenolic acids, flavones, and flavanones (22). People enjoy peppermint in all kind of ways, and we can find its strong flavor in everything from chewing gum to herbal tea. Due to its strong scent, it is also common to find in personal hygiene products such as shampoo and toothpaste. There’s quite a large gap between the first two foods and star anise, but this spice still contains a very large amount of polyphenols. Star anise contains phenolic acids and a group of compounds known as hydroxyphenylpropenes (23). You may also know star anise by its popular alternate name of ‘aniseed’. Star anise tea is a popular way of consuming the spice and we can also find it in various candy/sweets. Interestingly, star anise has a slight licorice flavor—a sweet and spicy taste—and its one that many people enjoy. Although it isn’t higher in absolute polyphenols, the larger serving size of cocoa makes it the biggest dietary source so far. Cocoa contains a whole host of polyphenolic compounds which include flavonoid, phenolic acid, and other groups (24). Significantly, a wide range of research links the compounds in cocoa to protection against chronic diseases such as cardiovascular heart disease and dementia (25, 26). Cocoa has an incredibly bitter taste, so people tend to consume it with sugar. While dark chocolate can be a reasonably healthy choice, it’s better to avoid the milk chocolate bars—they’re usually over 50% sugar. Oregano is a delicious herb that boosts the flavor of any dish. It’s also one of the best polyphenol food sources and offers a variety of flavanones, flavones, and flavonols (27). However, there are some differences between Mediterranean and Mexican oregano, which are actually slightly different botanically. Firstly, oregano hailing from Mexico has a robust, deep and fuller flavor, one which is slightly citrusy. Mediterranean varieties, although different from country to country, tend to be milder in taste. 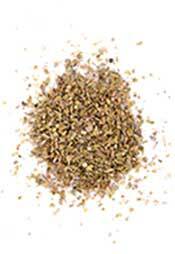 Celery seed has a long history of use for its health properties and the health compounds it contains. First of all, it is full of flavonoids and studies link it to a range of positive effects, such as lowering blood pressure and inflammation (28, 29). People tend to consume these seeds in the form of celery seed tea, and it is also available in a supplement form. It’s also possible to eat the seeds raw, but they aren’t particularly tasty so I don’t recommend it. The black chokeberry represents the first fruit—or even the first non-spice/herb—on this list. These berries are incredibly high in polyphenols and they are full of compounds called anthocyanins (30). Anthocyanins are common in blue to dark purple/black plant foods, and they are what give blueberries, blackberries and black chokeberries their color. For those of you with a sweet tooth, it might be better to steer clear of this one. For one thing, black chokeberries are extremely bitter tasting. They have a dry, astringent taste similar to an extremely dry red wine so, although they are a berry, they are not sweet at all. For a full guide to polyphenol-rich fruits see this list here. Dark chocolate is certainly the tastiest food so far, and it’s extremely high in polyphenols too. Containing the same compounds as cocoa, dark chocolate may also provide many of the same health benefits. While cocoa use dates back to the pre-Olmec people of Mexico, the modern adaptation into chocolate bars didn’t happen until the mid-19th century. One thing to watch out for, though: not all dark chocolate is created equally. 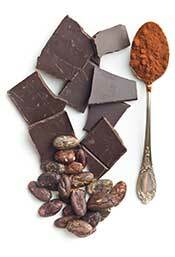 Look for a minimum of 70% cocoa (preferably 85% +) for the full benefits, more polyphenols, and less sugar. In other words, Cadburys or Hershey’s aren’t the best options – look for brands such as Green & Blacks, Lindt, and Ghirardelli. 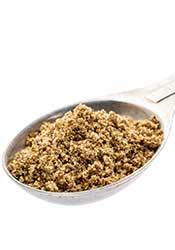 Flaxseed meal simply refers to ground flaxseeds. These seeds are full of fiber, and they are particularly high in the nutrients thiamin, magnesium, phosphorus, manganese, and copper (31). Their phytonutrient count doesn’t disappoint either, and flax seeds offer a wealth of lignans and phenolic acids (32). Flaxseeds have a certain nutty taste about them, and although you can eat them whole, they are not particularly delicious. As a result, people usually mix them into drinks or meals. With a long and ancient history for their medicinal value, black elderberries scrape into the top 10 polyphenol foods. These little black berries grow around the world and are most common in the United States and Europe. With a substantial anthocyanin and flavonol content, black elderberries have an incredibly tart and bitter taste to them (33). From personal experience, it’s quite difficult to eat them, which is why most people use them for various recipes. Elderberries are versatile and people enjoy making them into jelly, wine, tea, syrup, and even elderberry pie. Warm chestnuts on a cold winter day taste delicious. They also offer quite a few health benefits too. Particularly, chestnuts are high in gallic and ellagic acids, which are both types of phenolic acids (34). Although it is technically a nut, don’t expect chestnuts to taste anything like the rest of their family. In fact, chestnuts taste somewhat sweet and powdery like a sweet potato. Considering that chestnuts are the only nut to contain starchy carbohydrates, this makes sense. Another dried herb, and another polyphenol-rich food. Sage (salvia officinalis) grows in the Mediterranean region and it is a member of the mint family. It is an incredibly flavorful herb and it is popular throughout the world. Perhaps sage is most well known for its use in sage and onion stuffing, a typical accompaniment to a roast chicken or turkey. The herb contains a wealth of phenolic acids. Most notably, it supplies a significant amount of carnosic acid, a polyphenolic compound believed to have neuroprotective effects (35, 36). 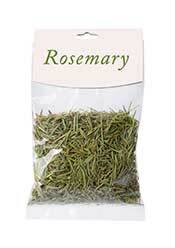 Rosemary is a very strong herb and it imparts a delicious flavor when we use it in various dishes. A little certainly goes a long way, and it has a deep piney flavor — it tastes like walking through the woods smells. This particular herb is most often used in Italian, and it makes a tasty combination as part of tomato-based dishes. Turning to Rosemary’s nutritional properties, it is packed with polyphenolic compounds including flavonoids and phenolic compounds. The most prevalent of these is known as rosmarinic acid, which is a polyphenol very similar in structure to coffee’s caffeic acid. As the name suggests, spearmint is another species from the mint family of plants. Spearmint has a substantial polyphenol content and contains various hydroxycinnamic acids, which are a class of phenolic acids (37). Similar to peppermint, it is popular in dental hygiene products for its refreshing and pleasant taste. Spearmint also works well for culinary purposes and forms a delicious combination with lamb in various dishes. I know this is about dried spearmint, but if you use some fresh spearmint leaves the taste is so much better. If you enjoy herbal teas, then spearmint tea is a nice option too. Thyme is another of the popular Italian herbs, and just like the others, it contains a variety of phenols. In particular, these include hydroxybenzoic and hydroxycinnamic acids (38). The deep flavor means that you only need a small amount, and both dry and fresh thyme help to improve the taste of most dishes. Additionally, thyme has a long history of medicinal use for digestive conditions and as a natural diuretic. If you’ve never tried wild blueberries, they’re definitely worth a try. “Lowbush” simply means that they have not been planted by humans, and spread through the ground. They are completely natural, wild plants untouched by humans and, as a result, have different properties to cultivated blueberries. For one thing, they are smaller in size and their taste isn’t as sweet as grocery store varieties. On the positive side, they offer much more flavor and a higher nutrient value. 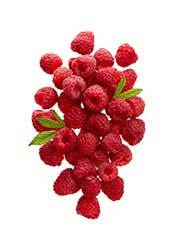 They’re also one of the best sources of polyphenols around and contain dozens of anthocyanins (39). Compared to blueberries, the blackcurrant offers a flavor that is more tart/sour in nature. Similar to elderberries, blackcurrants have a wide variety of uses, and they are popular as jam, jelly, tea, and even candy. The flavor is very popular, and a wide variety of blackcurrant-flavor options are available in stores. However, most of these products are just processed sugar and it’s better sticking to the real thing. 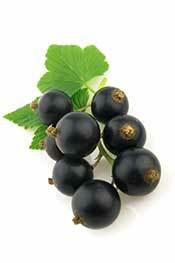 Blackcurrants provide a range of phenolic acids and flavonoids (40). Capers are delicious, and they’re also a top source of flavonoid polyphenols (41). Botanically known as capparis spinosa, capers are a pea-sized popular condiment that offer big flavor in a small package. The taste is intriguing and they’re somewhat sweet, but rather salty too. Capers frequently accompany salmon dishes, and if you like raw fish then they’re a default side-serving for salmon sashimi. For me, black olives are one of the tastiest foods on earth. They also provide us with various health benefits, such as their monounsaturated fat content and the health-protective polyphenols they contain. 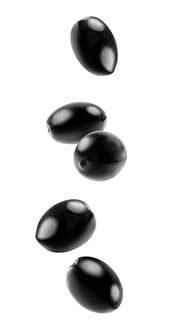 Specifically, black olives provide a source of phenolic acids, flavonoids, and tyrosols. One polyphenol in the tyrosol family of compounds is oleuropein. Technically, and unlike popular belief, olives are not a vegetable and they are actually a fruit. In contrast to the lowbush variety, highbush blueberries are those planted and cultivated by humans. The berries these shrubs provide are larger, juicier, and sweeter than wild lowbush varieties. However, their depth of flavor is not quite the same and they are slightly lower in nutrients. Despite this, highbush blueberries are available in almost all food stores, so they’re one of the best ways to get polyphenols into our diet. All varieties of blueberries have promising research regarding their health-protective effects. Among other benefits, daily blueberry consumption appears to improve cognition and blood pressure (44, 45). The hazelnut is the first nut to make the list, and this food contains a huge amount of beneficial flavonoids (46). Hazelnuts have a unique taste which goes well with a variety of flavors. As a result, we can find all sorts of hazelnut dishes and products. Some popular choices include hazelnut soup, hazelnut coffee, and hazelnut syrup. Together with its flavor, the hazelnut also brings health benefits to the table. Randomized, controlled trials show that hazelnuts positively impact the lipid (cholesterol) profile (47, 48). Hot on the heels of hazelnuts is the pecan nut. Not only is this one of the best nut sources of polyphenols, but it’s also one of the most loved nuts. Popular in desserts such as pecan pie, pecans also make a tasty (and healthier) option as a breadcrumb replacement. Pecans are crammed full of various flavonoids and they are extremely nutrient-dense (49). That said, pecans are very energy-dense too, so be careful not to overdo it. Soy flour provides a range of polyphenolic compounds known as isoflavonoids (50). However, if you want the nutrients from soy, then it might be better to opt for healthier, traditionally fermented foods like miso and natto. Plums are a small, dark purple fruit high in polyphenols. Like all purple plant foods, plums contain a range of anthocyanin flavonoids, as well as flavanols, flavonols, and phenolic acids (51). Plums have a slightly tart, tough skin, but a sweet and juicy flesh. Plums have a decent nutrient profile and supply particularly significant amounts of vitamin C.
Like their black older sibling, green olives provide a range of healthy compounds. In the same fashion as black olives, the standout here is oleuropein, which has a range of benefits. However, oleuropein is far from the only healthful compound in green olives, and they full of flavonoids, phenolic acids and tyrosols (52). It’s interesting that many people believe green and black olives come from different plants. In reality, they are the exact same species and the only difference is their maturity when growers pick them. Black is a ripe olive and green is a fresh one. Similar to the other herbs in the mint family, basil has some great health properties. For one thing, dried basil contains significant amounts of polyphenols, and an especially high phenolic acid content (53). Some people call basil “the king of herbs”, and when we consider how good it tastes, perhaps they are right. Of course, basil is the main ingredient in pesto, which is a condiment that makes just about anything taste good. Long celebrated as a medical herb in India, randomized studies show that basil may help normalize blood glucose, blood pressure, and cholesterol profiles (54). First of all, curry powder isn’t really a single ingredient. In fact, it’s a blend of herbs and spices which all contain beneficial compounds. Curry powder tends to contain ingredients such as coriander, cumin, ginger, cinnamon, turmeric, cardamom, and black pepper. 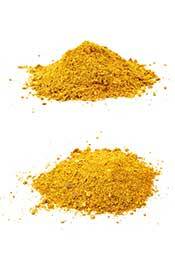 Due to all these different herbs and spices, curry powder provides a wide range of nutrients and health benefits. For example, one randomized, controlled trial shows that curry powder induces improvements in endothelial flow-mediated vasodilation after eating a meal (55). Sweet cherries are one of the world’s most popular fruits due to their juicy, refreshing taste. This little fruit has a deep and intense red/purple color that is almost blood-like in shade. Like other dark red/blue fruit, cherries offer a large source of polyphenols from anthocyanins (56). Interestingly, there are many different kinds of sweet cherries, all of which have a slightly differing taste. Personally, I think artichokes are one of the tastiest vegetables in existence. In addition to a variety of flavones, they contain a compound called caffeoylquinic acid (57). Caffeoylquinic acid (CQA) is purported to have various antibacterial, anticancer and antihistaminic biological actions (58). Although boiling seems to be a popular method of cooking this vegetable, roasted artichoke tastes particularly delicious. Along with olives and avocados, the blackberry is my favorite fruit. Despite having one of the highest nutrient values of fruit and a low fructose content, they taste amazing. As you may guess from their color, blackberries are a fruit rich in anthocyanin polyphenols. In addition, they also contain various flavanols, flavonols, and phenolic acids (59). Blackberries make an irresistible combination with some heavy cream, and they are one of the tastiest foods high in polyphenols. Otherwise known as dry roasted soybeans, people make this variety of soybeans by roasting them in the oven until they are golden on the outside. 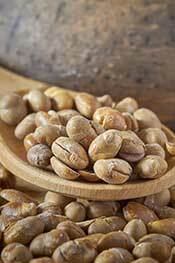 Like all soy products, roasted soybeans are a big source of isoflavonoids (60). While I’m personally not a fan of soy, these are a better option than heavily processed soy meats and soy milk. Why is milk chocolate here? Well, despite being full of sugar, it still contains a fair amount of polyphenols due to its cocoa content. Don’t kid yourself that it’s healthy though – it isn’t. For the full benefits of cocoa, it’s best to stick to chocolate of the darker variety. Strawberries are one of the most beloved fruit in the world, and they grow around much of the world. As well as having a delicious taste, strawberries can claim to be a healthy berry. First of all, this bright red fruit supplies a source of flavonoids and phenolic acids (61). Additionally, strawberries provide a significant amount of vitamin C.
Some evidence-based reviews on the health benefits of strawberries found that they help to downregulate inflammation and improve cardiovascular risk factors (62, 63). In the same way as blackberries, they also make a tasty combination with heavy cream. Red chicory is a popular vegetable in the Mediterranean region of Europe, and it has a slightly bitter and peppery taste. Otherwise known as radicchio, this vegetable commonly features in salads for the flavor and color it brings. Red chicory has a decent polyphenol content too and supplies a large amount of caffeoylquinic acid and other phenolic acids (64). Pair it with some leafy greens, olives, cherry tomatoes, vinegar and olive oil for a tasty salad. Raspberries are an extremely tasty berry which—in my opinion—only come second to blackberries. They are relatively sweet in taste with a very soft texture. Full of anthocyanins, flavanols, flavonols and phenolic acids, they have a variety of health benefits. For one thing, existing preclinical research suggests “a key role for raspberries in reducing the risk for metabolically based chronic diseases, particularly CVD, T2DM, and Alzheimer’s disease” (65). Drinks can be a rich source of polyphenols too, and coffee is a great example of that. In this case, filtered coffee, which is the freshly made coffee from ground coffee powder. There are various ways to make this drink, and you can use paper filters, French press, or filter coffee makers. Coffee contains large amounts of hydroxycinnamic acids and alkylphenols (66). We can see and taste the flavors of these compounds through the dark, black appearance and bitter taste coffee exhibits. With ginger, it seems that people either love it or hate it. 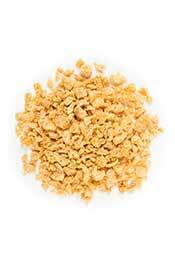 Dried ginger has a pale yellow appearance with a strong and spicy aroma. The taste follows a similar pattern, and it has a strong, spicy and somewhat warming flavor. Chemically, ginger is very high in caffeic acid and it contains the compound ‘gingerol’, which belongs to a class of polyphenols known as hydroxyphenylpropenes (67). Notably, gingerols exhibit anticancer and anti-inflammatory effects in the body (68). Wholegrain hard wheat flour is simply flour made from ‘hard wheat’. Hard wheat has an extremely high protein (and thus: gluten) content, and bakers use it when they want a soft, sticky texture. As a result of the gluten content, anyone with any sensitivities should avoid it. Wholegrain hard wheat flour contains a reasonable amount of polyphenols, and these include phenolic acids and alkylphenols (69). Prunes are simply dried plums. As a result, they offer much of the same health benefits as fresh plums. However, it’s important to be aware that they provide a more dense source of sugar. People wouldn’t usually eat 10 plums, but with prunes, it is quite common. 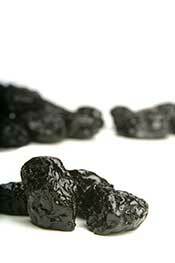 Prunes contain a flavonol known as quercetin and a range of hydroxycinnamic acids (70). Almonds are the second highest nut (behind pecans) in polyphenols. The taste of almonds is quite interesting, and people seem to either love them or hate them. Personally, I think they’re a bit dry, but fresh almonds are much better in flavor than roasted ones. Containing a decent supply of polyphenolic compounds, almonds are particularly high in hydroxybenzoic acid. Researchers believe hydroxybenzoic acids to be particularly beneficial for cardiovascular health (71). Black grapes contain a range of compounds including anthocyanins, flavanols, phenolic acids, and stilbenes (72). Perhaps the most famous among these is resveratrol, which received media attention as a possible “life-enhancing” compound in red wine. The black color of the grapes is due to a higher concentration of polyphenolic compounds compared to green/red grapes. Despite the name, red onions tend to be more of a purple color in appearance. As colorful produce tends to be highest in polyphenols, red beats yellow onions on this list. The particular compounds we can find in red onions include anthocyanins, flavonols, and phenolic acids (73). Red onions have a slightly sweet taste when cooked, and they taste a little strong and spicy when they appear uncooked in salads. 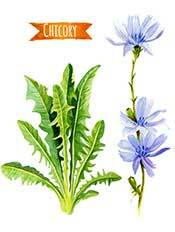 Green chicory contains a good source of phenolic acids, notably cichoric acid and caffeoylquinic acid (74). As a green leafy plant, it usually plays a part in salads. However, there is an interesting alternative use of chicory– coffee. To make this drink, the producers roast the plant and then mix it with roasted coffee for a slightly milder, less bitter drink. Green chicory also contains a substantial amount of beta-carotene and vitamin K1, but be sure to eat it with a source of fat as these are fat-soluble vitamins. Fresh thyme marks the first fresh version of a herb to make it onto the list. This polyphenol-rich has an even more delicious flavor in its fresh state, and it works amazingly well to flavor recipes. To put it differently, thyme makes almost anything taste better. Similar to dried thyme, the herb contains flavonoids and phenolic acids (75). Maize flour represents another grain on the list, and it contains several phenolic acids — namely trans-ferulic acid and p-coumaric acid (76). Made from ground corn, it is a common staple food in several countries, with Mexico being a particularly notable example. Maize is one of the most prevalent crops in the world. Tempeh is a traditional fermented soy-based food that hails from Indonesia. However, it is now popular throughout the world – especially in Asia. Tempeh is a good provider of polyphenols, and it contains a wide range of isoflavonoids (77). Compared to refined soy products, tempeh has a much better nutritional profile as the nutrients are more bio-available. Additionally, the fermentation process breaks down anti-nutrients in soy and adds in various beneficial bacterias. Studies also suggest traditional whole, fermented soy products are much healthier than Western-style isolated soy products (78). 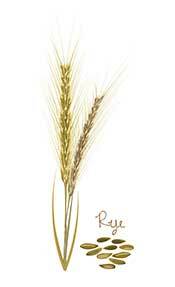 Rye is a kind of grass and it grows all around the world. It is an alternate grain to wheat for making bread, and it provides various polyphenolic acids and alkylphenols (79). While rye is not as popular as wheat, it generally contains more nutrients and less gluten. No, probably not… but it is a fruit with a reasonable amount of polyphenols in the form of flavonoids (80). Apples are a very popular staple fruit, and they appear in all sorts of desserts. However, nutritionally speaking they aren’t quite as impressive as other fruits. For instance, a medium apple’s major nutrient is vitamin C – and it is only about 14% of the RDA (81). Spinach is one of the most nutrient-dense green vegetables in the world, and it contains substantial amounts of vitamins and minerals. This leafy green also provides a significant amount of flavonoids such as spinacetin and patuletin (82). As a result of the popular cartoon Popeye, spinach is famous for its (non-heme) iron content. Shallots are part of the onion family, and they are from a species of flowering plants known as Allium. Personally, I love using shallots (and garlic) in cooking as they seem to upgrade the taste of pretty much everything. Shallots are one of the most polyphenol-rich root vegetables, and they supply flavonoids such as quercetin and phenolic (hydroxybenzoic) acids (83). 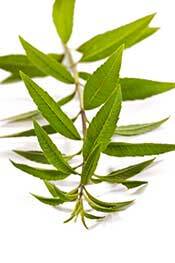 Otherwise known as vervain, lemon verbena provides a range of flavonoids and the hydroxycinnamic acid verbascoside (84). Lemon verbena is a plant native to South America, and it has a unique strong scent which has made it popular in perfume, toiletries and for flavoring dishes. However, the most popular use of the plant is a flavone-rich herbal tea. Despite its origins, the plant is now prevalent throughout the world. 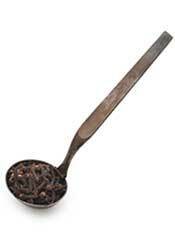 All tea generally contains a decent amount of polyphenols, and black tea is no exception. In particular, black tea contains a wide range of flavonoids—particularly catechins, flavonols, and phenolic acids (85). Perhaps black tea is most famous in the United Kingdom, where people tend to drink it with a small amount of added milk. Rather impressively, the British drink 165 million cups of tea per day. While it can’t compete with spices and herbs in terms of quantity, red wine contains an extremely wide range of phytonutrients. Specifically, red wine contains an array of various flavonoids, phenolic acids, stilbenes, and various other polyphenols (86). Numerous studies also show that red wine may have health benefits. For example, one systematic review demonstrates that red wine independently improves the LDL/HDL ratio of heart patients (87). Green tea is popular throughout the world, but especially so in China and Japan. It’s unusual to hear green tea being mentioned in the press without the story alluding to antioxidants too. While green tea doesn’t have the highest polyphenol content around, it still provides a decent range of these compounds. Similar to black tea, green tea provides an assortment of flavonoids and phenolic acids (88). Soy yogurts are an alternative to dairy for those vegans and those with intolerance issues. However, these products tend to be highly processed so tread carefully. As with all soy products, soy yogurts provide a range of isoflavonoids such as genistin (89). Full-fat dairy yogurts are a healthier option. Onions add a lot of flavor to virtually any dish, so it’s understandable that they’re one of the most popular vegetables. Despite the ‘yellow onion’ name, these root vegetables are actually a pale green to white color, and light brown skin surrounds the edible parts. Known botanically as Allium cepa L, they contain varieties of quercetin, polyphenols belonging to the flavonoids subclass (90). Known alternatively as texturized vegetable protein (TVP), soy meat provides a range of isoflavonoids (91). However, soy meat is a highly processed food product which is actually a by-product of the soybean oil extraction process. Unless chemical flavorings are used, it also tastes extremely bland. Whole grain flour is the powder from processing the whole wheat kernel. This means that the whole of the wheatberry is present, including the bran, germ, and the endosperm. In contrast, white (refined) flour contains only the endosperm. Whole grain wheat flour offers a source of polyphenols from the alkylphenol class of compounds (92). Pure apple juice comes at number 59, and this is just a fruit juice made by pressing an apple. Similar to whole apples, apple juice contains a range of flavonoids and phenolic acids (93). However, it is better to stick to whole fruit rather than juice. One reason why is that apple juice doesn’t contain the fiber content of the whole fruit. Many juices contain polyphenols and pomegranate juice is no different. To be specific, it contains various flavonoids and phenolic acids – most notably a compound known as punicalagin (94). Interestingly, this polyphenol is unique to pomegranates and randomized, controlled trials show that it has anticancer properties (95). As with apple juice, it is always better to opt for whole fruit rather than just the juice. Olives are one of the healthiest foods in the world, and their oil is no different. Similar to red wine, the extensive range of polyphenols extra virgin olive oil (EVOO) offers is certainly impressive. Namely, EVOO provides numerous different flavonoids, lignans, phenolic acids and tyrosols (96). When buying olive oil, look for one which leaves you with a slight peppery/spicy taste at the back of your throat. The cause of this taste is oleocanthal, which is a polyphenolic compound contained within olives. Black beans are a small legume which is especially popular throughout South America. Nutrition wise, they provide both carbohydrate and protein, and they’re particularly high in fiber, iron, and magnesium. Similar to other plant foods with a purple/black color, black beans supply various anthocyanin flavonoids (97). 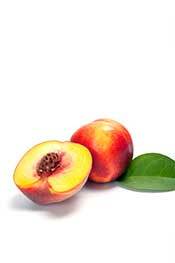 The peach (Prunus persica) is a stone fruit with a juicy flesh and soft, smooth surrounding skin. Peaches are native to China but now grow throughout the world, and they tend to bloom in spring and ripen in summer. 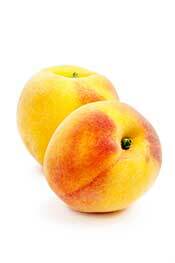 Alongside a reasonable dose of vitamin C, peaches also provide flavanols and phenolic acids (98). Another juice high in polyphenols, blood oranges are native to China and the Southern Mediterranean region. With a visually unique look, the fruit is a very distinct blood-red in color, with an extremely juicy flesh surrounded by a thick skin. The juice of these oranges provides large amounts of vitamin C alongside a range of flavonoids and phenolic acids (99). Blood oranges are particularly high in a compound named hesperidin, which is believed to be behind many of the benefits of citrus fruit. As one of the most common spices in the world, cumin plays a role in both European and Southern Asian cuisine. Cumin is a flowering plant that belongs to the Apiaceae family, and ground cumin seeds produce the spice we recognize. In like manner to various other spices, cumin has a deep, slightly spicy, and warming taste. Regarding the spice’s health properties, it is rich in various minerals—especially iron, and it contains a large amount of kaempferol, a flavonol also present in cruciferous vegetables (100). Grapefruit juice is yet another polyphenol-rich drink, but again – it is better to stick with whole fruit. Grapefruit (Citrus paradisi) is a medium to large sized fruit originating from the Caribbean region. The taste of this fruit is somewhat sweet, sour, and also slightly bitter, which the polyphenolic compounds it contains may explain. In particular, grapefruit is a provider of hydroxybenzoic and hydroxycinnamic acids (101). White beans are a legume native to the Americas. 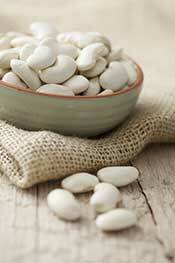 First of all, there are many different types of white bean such as cannellini, lima (butterbean) and navy beans. These beans are a good source of vitamin C, magnesium, and contain catechin and kaempferol from the flavonoid class of polyphenols (102). Known as ‘Chinese cinnamon’, cassia contains large amounts of cinnamic acid and a phytochemical called coumarin (103). Unfortunately, coumarin may cause liver damage at high doses, so cassia cinnamon requires moderate usage (104). Ceylon cinnamon does not have this health concern, so it may be a better option. Orange juice is high in the flavonoid and phenolic acid classes of polyphenols, and in particular ferulic acid (105). It also provides a decent amount of vitamin C and potassium. However, compared to whole fruit, it has less fiber and it is a more concentrated source of fructose. Broccoli is a green plant in the family of cruciferous vegetables. Believed to have originated from Italy, it now grows around the world, particularly in China and India. Broccoli is an impressive source of vitamin C, and it also contains decent amounts of flavonoids and phenolic acids (106). Redcurrants (Ribes rubrum) are part of the gooseberry family of plants and they grow natively in Western Europe. These small berries are bright red and shiny in appearance, and this certainly makes them look attractive. Similar to most berries, redcurrants supply a reasonable amount of vitamin C.
Due to their wide-ranging polyphenol content, they have a slightly tart and bitter taste. 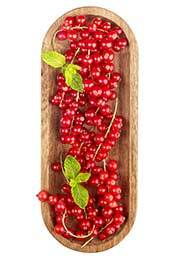 Specifically, redcurrants contain dozens of polyphenols from flavonoid, phenolic acid, and stilbenes (107). While not as polyphenol-rich as tempeh, tofu is a similar food – at least in terms of appearance. 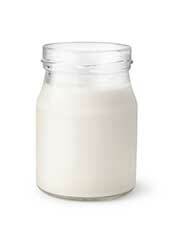 However, this is a more processed version, created by coagulating soy milk and sometimes contains a host of additives. Like all soy products, tofu provides a range of isoflavonoids (108). Similar to all citrus fruits, pure lemon juice provides a large amount of vitamin C.
Thanks to the sour nature of lemons, lemon juice is a very tart drink which some people find hard to drink. In the same fashion as orange juice, lemon is also full of flavonoid compounds and it contains an additional polyphenol called phlorin (109). Oats are a cereal grain and the edible part is actually the oat seed. This grain is commonly consumed by humans as breakfast cereal, and it’s a typical ingredient in feedlots for animal feed. Believed to originate in Europe, oats now grow around the world and Russia is the largest producer. Nutritionally speaking, oats provide magnesium and iron, and they also contain the flavonoids apigenin and quercetin (110). 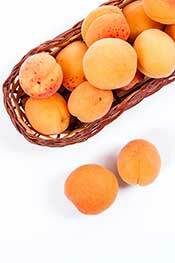 With a bright and beautiful yellowy-orange color, apricots are small in size with a smooth, sometimes furry skin. Their interior is soft and juicy, like a slightly firmer version of a peach. Apricots are popular in their fresh and dried forms, and apricot tea is a popular drink too. Apricots are full of phytonutrients from flavonoids and phenolic acids (111). Additionally, apricots have high amounts of vitamins A and C.
Otherwise known as meridian fennel, caraway is a spice originating from Italy in times of Ancient Rome. The spice is often used to flavor recipes, and it is a common ingredient in bread and casseroles. Caraway seeds contain relatively high amounts of two polyphenols; the flavonoid kaempferol and the phenolic acid called caffeic acid (112). Randomized studies suggest that caraway may have value for use in treating irritable bowel syndrome (IBS) (113). Refined rye flour contains the same polyphenols as rye—alkylphenols and phenolic acids—just in a smaller amount (114). However, it is best to avoid refined carbs – whether they contain polyphenols or not. For one thing, there are clear associations between refined grains and chronic disease. The vegetable asparagus (Asparagus officinalis) is a flowering plant that produces long, edible stems. Asparagus is delicious, and nothing beats it as a side vegetable to steak. Well, garlic and mushrooms do… but nothing else that is green anyway! This stem vegetable provides a wide range of vitamins and minerals, and it contains a large amount of the flavonol quercetin (115). 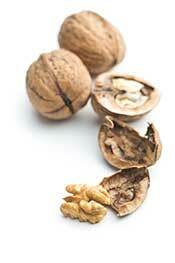 Walnuts are a nutritious nut that is rich in minerals, protein, and healthy fats. While not as polyphenol-rich as its almond and pecan siblings, walnuts contain a high amount of ellagic acid, a type of phenolic acid (116). Taste-wise, walnuts are a little bit dry with an earthy taste and a hint of bitterness. At number 80 comes the humble potato. Especially popular with people of the English speaking world (and hobbits), potatoes are a starchy root vegetable. Although there is a popular belief that potatoes contain little nutritional value, they are a really good source of many vitamins and minerals (117). However, potatoes are very high in starchy carbs so go easy on them – especially if looking to lose weight. Potatoes contain the polyphenols caffeic acid and caffeoylquinic acid (118). As mentioned earlier, ceylon is one of the four varieties of cinnamon. Although it may be lower in polyphenols than cassia (Chinese) cinnamon, it doesn’t contain the same amount of—potentially toxic—courmarin. Ceylon cinnamon tends to grow in Sri Lanka, and it contains a range of polyphenols from phenolic acids (119). Parsley is a type of flowering plant originating in the Mediterranean region of Europe, and it is used as a herb for flavor in various recipes, and also as a vegetable. Nutritionally, parsley is a powerhouse and provides large amounts of vitamins A and C, iron, and calcium. It also contains a class of polyphenol called furanocoumarins (120). Parsley is slightly bitter and grassy in taste and adds a herbal flavor to dishes. It makes a particularly good combination with fish and cream sauce. Sharing a similar appearance to peaches, the nectarine is almost identical in taste and image except for a slight genetic difference. As a result, nectarines have a smooth skin and lack the furry skin that peaches have. They also have a slightly firmer texture and mildly sweeter taste. Nectarines contain (relatively small) amounts of vitamins A and C, and a range of flavonoids and phenolic acids (121). Curly endive (var crispum) is a small, wispy green vegetable with curly leaves. Endive provides large amounts of vitamin K1 and the mineral manganese, and it is high in polyphenols from the flavonoids class (kaempferol) (122). Endive is a bitter tasting vegetable but becomes somewhat sweeter—and more pleasant—after cooking. Marjoram is dried herb originating from Cyprus and Turkey, and it is slightly similar in taste to oregano. Consumed either fresh or dry, marjoram adds a herbal and citrus-sweet depth of flavor to various dishes. Marjoram is also extremely nutrient-dense and contains huge amounts of vitamins A, C, calcium, iron, magnesium, and many other micronutrients. The herb contains various phenolic acids and flavonoids, with a particularly high amount of ferulic acid (123). Red lettuce (Lactuca sativa) is just one of the many different types of lettuce. Like many vegetables, red lettuce provides a good source of beta-carotene and vitamin K1. Regarding the polyphenol content, red lettuce provides a range of flavonoid compounds including anthocyanins, flavones, and flavonols (124). Red lettuce is almost always eaten in its raw state, and it is a common ingredient in salads. Owing to the huge amount of polyphenols in cocoa, chocolate milk somehow manages to make this list. But let’s be honest: chocolate milk is (and never will be) a health drink. 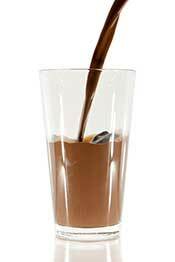 When it comes to health, there’s a huge difference between cocoa/dark chocolate and chocolate milk. In addition to a few polyphenols, this drink contains large amounts of sugar and various other additives. Quince (Cydonia oblonga) is a fruit native to South-West Asia and Eastern Europe that resembles a cross between an apple and a pear. However, unlike pears and apples, there is no sweet taste and the quince is a very bitter and tart flavor. For this reason, the fruit is rarely eaten in its raw state and tends to be used for jams and various other preserves. Quince contains a range of polyphenols from flavanols, flavonols, and hydroxycinnamic acids (125). Escarole is part of the chicory group of vegetables, but it is slightly different in appearance to curly endive. For one thing, it has broader, thicker leaves and lacks the ‘curlyness’. However, both of these green vegetables are generally used in the same way. Escarole contains several kaempferol flavonols (126). Similar to chocolate milk, soy milk is a heavily processed product that contains various additives and added sugars. In other words, it is not really a healthy drink. However, it does contain a few polyphenols from isoflavonoids (127). The pomelo (Citrus maxima) is a very large citrus fruit which looks similar to a large grapefruit. It has a sweet taste and a thick rind reminiscent of grapefruit, but the taste does not have the bitterness that grapefruits do. Pomelo juice contains the polyphenolic compounds naringin and phlorin (128). Rapeseed/canola is a highly-processed vegetable oil, and it is far better to stick to naturally-occurring fats. However, the oil contains small amounts of polyphenols, namely phenolic acids and alkylmethoxyphenols (129). Pears are one of the most popular fruit in the world, and China produces 70% of the world’s supply. Pears are a juicy fruit with a sweet and mild flavor, and they come in different shapes and sizes – not all pears are ‘pear-shaped’. For example, the Asian/Chinese/Korean pear is large and round like a grapefruit. Pears supply a moderate amount of vitamin C, and various flavonoids and phenolic acids (130). Beansprouts are a crunchy vegetable with an extremely high water content. Generally speaking, either soybeans or mung beans are the most commonly used beans for sprouting. Due to their high water content, bean sprouts provide neglible amounts of calories, carbohydrate, fat, and protein. However, they contain polyphenols in the form of isoflavonoids, hydroxybenzoic acid, and hydroxycinnamic acid (131). 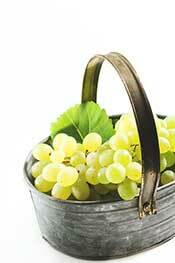 Lagging quite a bit behind their darker cousins, green grapes contain 15mg polyphenols per 100g (132). Botanically speaking, these grapes are actually a berry and they predominantly grow in the Americas, Australia, China, and Europe. The reason for the color differences between grapes is the polyphenol content, with anthocyanins giving purple and black grapes their darker color. The carrot is a bright orange root vegetable native to Europe and South-Western Asia, but they are grown throughout the world. They offer a particularly high source of the vitamin A precursor, beta-carotene. Additionally, they are rich in polyphenols from polyphenolic acid (133). Carrots are a versatile vegetable and people enjoy them raw, in recipes, as a side dish…or even carrot juice and soup. Vinegar is an interesting food ingredient that is primarily (15-20%) acetic acid. In addition to acetic acid having various benefits, vinegar improves the flavor of food and helps to tenderize meat. This works by the acid breaking down the tough muscle to create a more tender, fuller-flavored meat. Although it doesn’t contain a significant amount of any one compound, vinegar provides a huge variety of different polyphenolic compounds. To be specific, there are 32 known polyphenols in vinegar from flavonoids, phenolic acids, stilbenes, hydroxybenzaldehydes, and tyrosols (134). There are various types of vinegar available, including red wine vinegar, balsamic vinegar, and apple cider vinegar. Otherwise known as a ‘cheese analogue’, soy cheese is a fake version of the delicious dairy food. Soy cheese is made from soy protein, ‘solidified vegetable oil’, and various bulking agents and thickeners. Although it contains small amounts of polyphenols, a health food it is not. White wine has a small polyphenol content consisting of various phenolic acids, stilbenes, flavonoids, hydroxybenzaldehydes, hydroxycoumarins, and tyrosols (135). Lighter in color, it lacks the anthocyanin content of red wines. 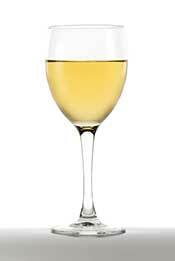 Although we call this type of wine ‘white’, the color ranges from pale yellow to light amber. Interestingly, the origin of wine predates written records. Rosé wine is made with black grapes, but unlike red wine, the grape skins are removed after only a few days. As a result, rosé wine has a light pink color. Similar to its red and white siblings, rosé wine contains a wealth of polyphenols from phenolic acids, stilbenes, tyrosols and flavonoids (136). Key Point: Berries, cocoa, herbs, and spices tend to be the richest food sources of polyphenols. For your convenience, here are the ten fruits with the highest polyphenol score from the top 100 foods. Key Point: Black Chokeberry is number one, and it has an extremely bitter and astringent taste. Key Point: Artichoke heads and red chicory are easily the top two vegetables for polyphenols. Key Point: Cloves are the most polyphenol-dense food on earth, but we generally only consume them in small amounts. For this reason, cocoa powder might be the most widely consumed source of polyphenols. As shown in this guide, consuming polyphenols from various foods may help to improve our immune health and protect against disease. However, just because a food contains some polyphenols doesn’t automatically make it healthy. There are many determinants of what makes a food healthy or not, but one of the biggest ones tends to be the degree of processing. Rather than eating isolated fats and refined carbohydrates, eating whole, unprocessed foods are one of the best ways to stay healthy. And that is the case whether the food does or does not contain polyphenols. Thank you. This is exactly what I was looking for. Excellent articlle. Thanks, Brandon, glad you found it useful! Really helpful information. Thank you. Thanks, Lynne. Glad it helped!